If you’re any kind of bartender, drinks enthusiast or mild alcoholic (puts hands in air), you have probably had some form of Boilermaker. If not, you should probably go and have one. “But what is a Boilermaker?” I hear you say… don’t worry, I’ll fill you in. Let’s go back to the early 1800s. Women are wearing extremely uncomfortable 20 layer dresses, cinched in with a corset, while men can’t go anywhere without their top hat. It was a time of hardship. The Women looked after the house, the children and everything else, while the men worked. Unless you were fortunate to be born into a wealthy family, kudos to you, otherwise it was straight into a trade for the average working man. After work, it was off to the bar for drinks – Beer and Whiskey, to be precise. And the first to hit the bar before the rest of the tradesmen? Boilermakers. The guys who woke up at the crack of dawn to build and maintain steam locomotives. So thanks to them, the humble Boilermaker came into existence. 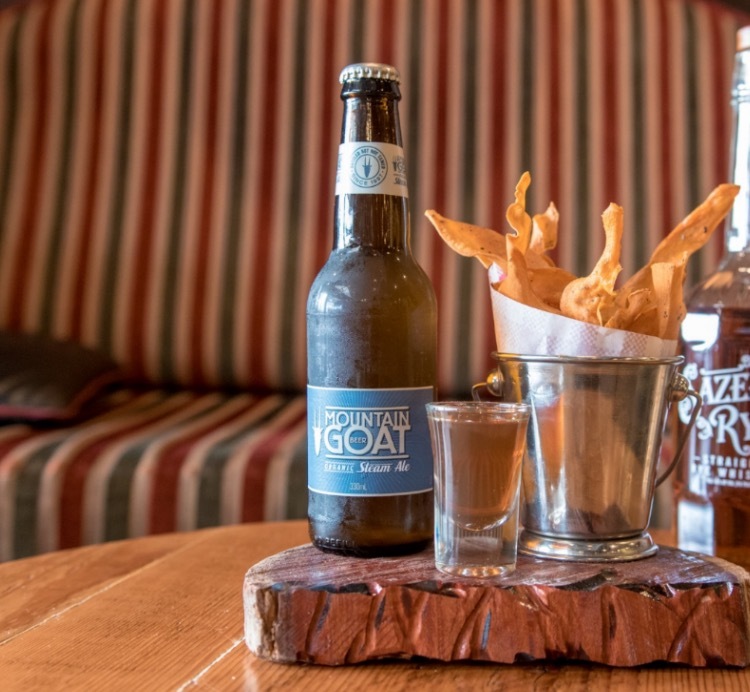 These days, the Boilermaker has evolved from a whiskey shot with a beer chaser, to a carefully chosen selection of beer, spirit and bar snack, all perfectly matched in flavour and based on origin. 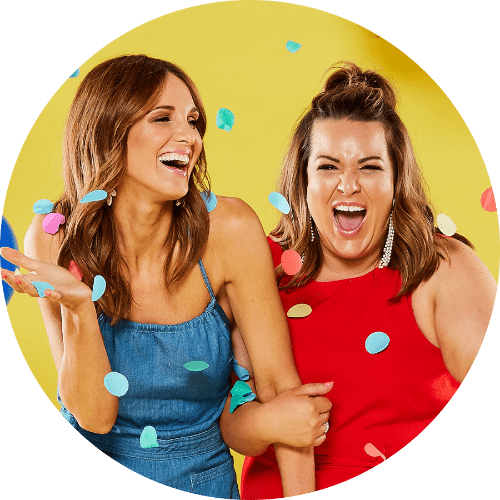 “Where can I get one of these incredibly curated experiences?” Well, I’ve got the answer for that too. 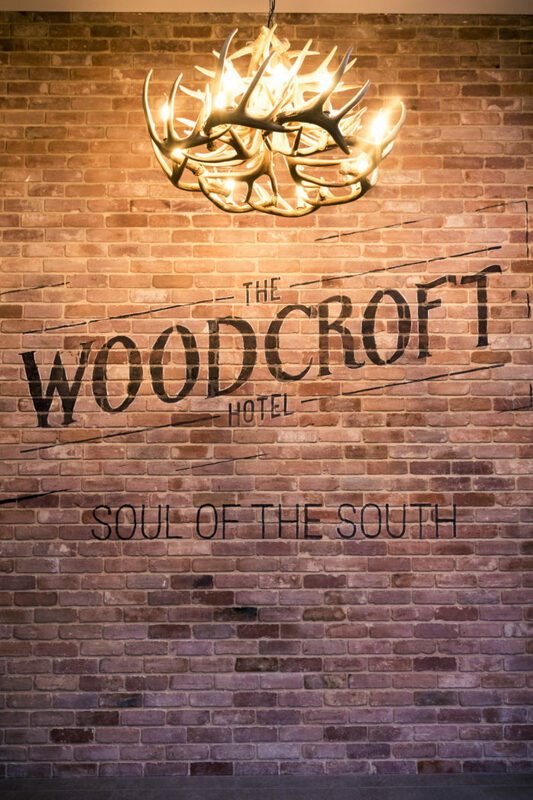 Adelaide’s “Soul of the South” The Woodcroft Hotel, offersan impressive selection of quality brews, hearty whiskies, creative cocktails, flavour matching and of course, Boilermakers. 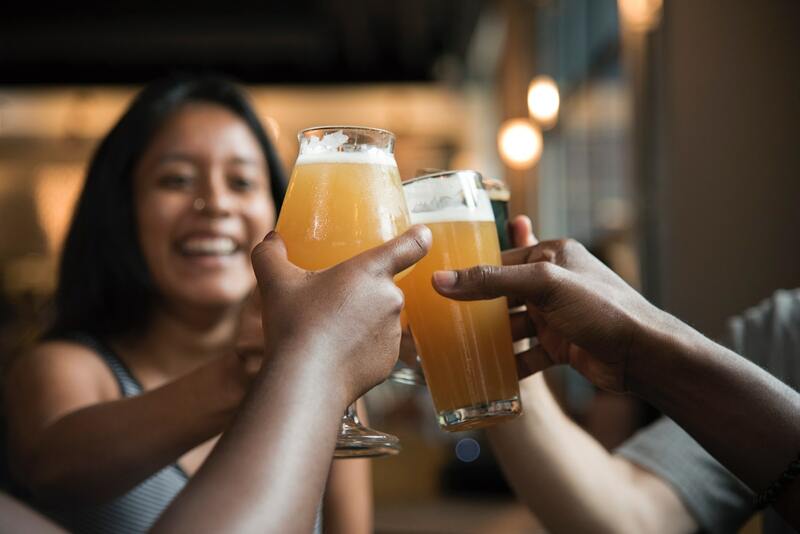 This Southern inspired hotel serve up a range of Boilermakers to match every tastebud, from the locally sourced enthusiast, to the Deep South of America lover…they’ve got you covered! 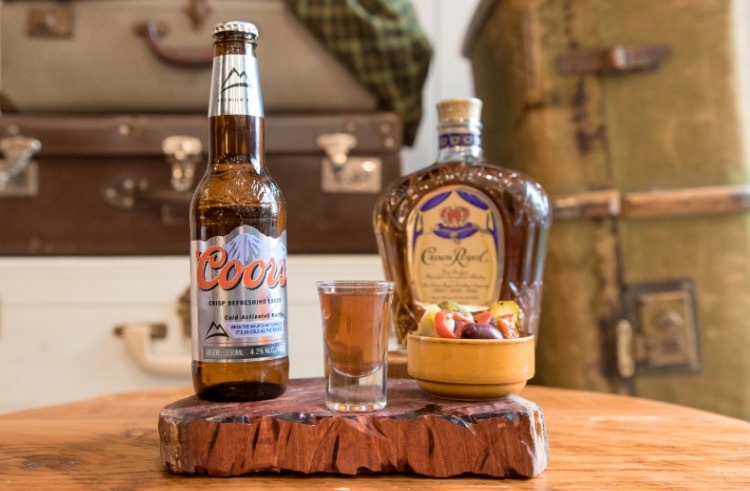 One of America’s quintessential beers Coors is paired with 30ml of Crown Royal Whiskey and served with antipasto, evoking those authentic Southern American feels. Up for something a little heartier? Try The Smokey. Barossa Valley Brewing Company’s ‘The Barossa Smoke’ is inspired by smoked German beer, but uses a local small goods maker to smoke the malts used in the brew. 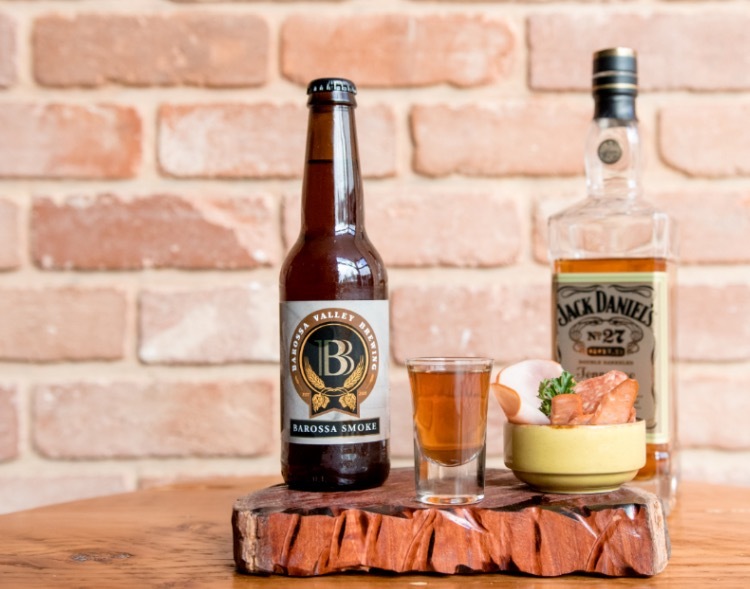 Perfectly matched to this beer is 30ml of Jack Daniel’s Gold Label and served with cured meats. 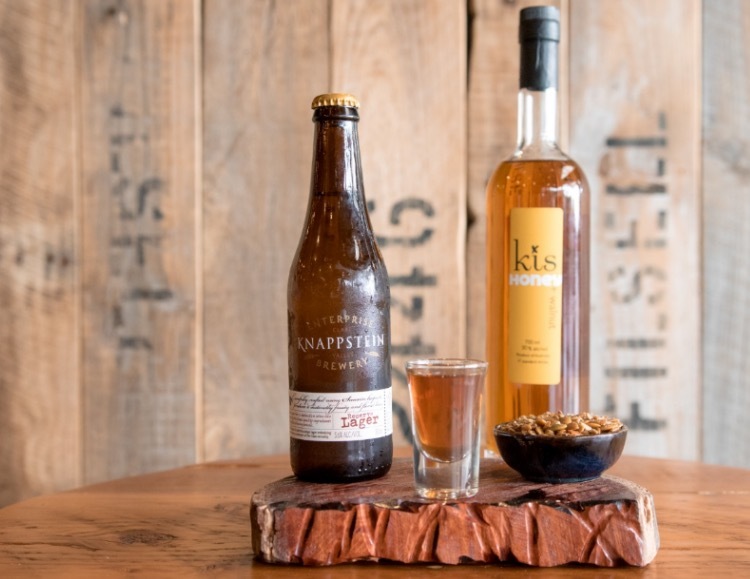 Waving the SA flag among the bunch is The Local Boilermaker, featuring Clare Valley’s Knappstein Reserve Lager and 30ml of Kangoroo Island’s KIS Honey & Walnut vodka, served with locally sourced nuts and seeds. Last but not least, The Moreish, lives to stand up to its name. Mountain Goat Steamed Ale is matched with 30ml of Sazerac Rye 6yr, served with house made sweet potato crisps. Looking for an excuse to travel down the Southern Express Way? Now you have one. You can find The Woodcroft Hotel on the corner of Bains & Panalatinga Roads, Woodcroft. Or find them on Instagram, Facebook and their website here.